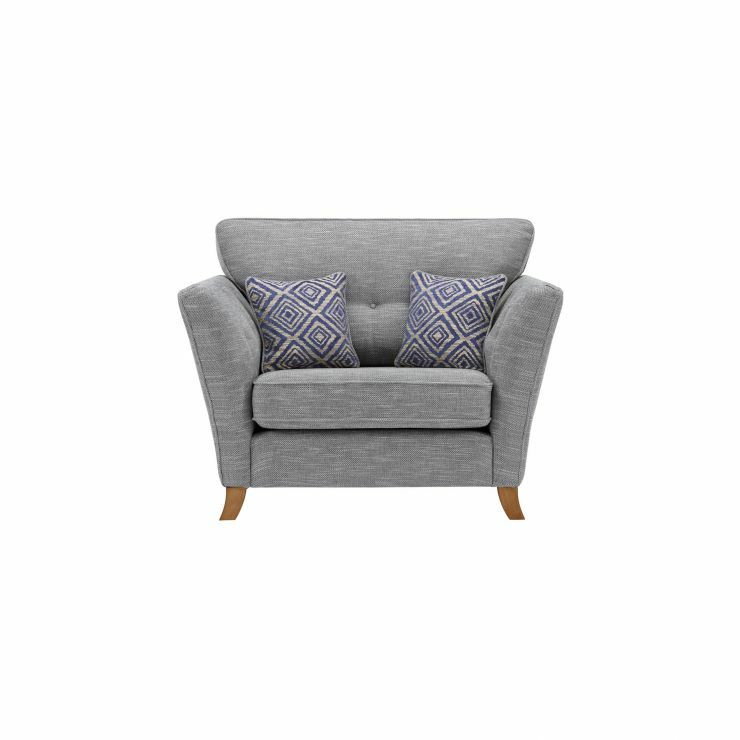 The oversized Grosvenor Traditional loveseat in Blue with Blue Scatters is the perfect place to cuddle up in your living room. Featuring exclusive plump-free dual foam seat cushions and trendy scatters to finish the look, the loveseat boasts excellent shape retention and ultimate comfort. With real oak feet and solid hardwood built into the frame, this loveseat is designed to be enjoyed for decades to come. Complement it with another beautiful piece from the Grosvenor Traditional range, which includes a variety of sofas, chairs and a storage footstool.